Fish & chips, Pie n Mash and a curry. 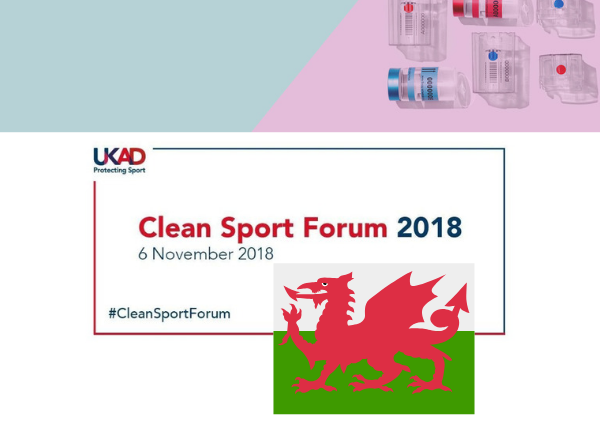 All are arguably great takeaways, but today we wanted to discuss takeaways of a different kind: those from UKAD’s Annual Clean Sport Forum 2018. Our Group Marketing Manager, Jeremy Graham, represented Versapak Doping Control found there to be some great points raised as well as insightful discussions around Image and performance enhancing drugs (IPEDs) and some insight into the widely reported, controversial decision by WADA: RUSADA’s reinstatement. A problematic future for Doping? Problems faced by doping in the future were touched upon, and these include the culture of the media (something which this article will touch on in a later paragraph) and the ‘Love Island’ effect, which has led to younger generations being more at risk of using IPEDs. Ultimately all of these factors create a problematic future for doping. Jonathon Taylor, Partner and co-head of sports group, Bird and Bird, expressed disappointment regarding how the media reported the RUSADA reinstatement story in an incredibly 1-sided fashion, avoiding to mention all of the facts. Taylor went on to state that a new agreement binds all countries to an ‘all in, all out’ code compliance. This addressed a previous loophole whereby before, not all countries had signed up to ‘all in rules’ so countries like Russia could still take part in other country’s sport. WADA faced a lot of backlash over their controversial decision a few months ago, but it is clear that there are two-sides to every story. UKAD gave mention to their new areas of activity and one of these included an Assurance Framework, to help ensure governing bodies of sport are fulfilling Anti-Doping obligations. We wish them the best of luck with this moving forward. The rise of image and performance enhancing drugs was found to be placing a lot of pressure on athletes as well as regular people who enjoy keeping fit and take pride in the way they look. Furthermore, this pressure was argued to be down to the ‘Love Island’ effect. Tabloids such as the Guardian and Cosmopolitan here and here explore this seemingly crushing effect on young people’s self-esteem and all are in agreement at the detriment such a show can have on these vulnerable and often highly-influenced young-adults. A panel from the day in Cardiff made up of Eric Kendall, Wales Government Agency Intelligence Network and Regional Organised Crime Unit and Amanda Hudson, Head of Education and Athlete Support shared results from a survey regarding growing concerns of IPEDs usage in the UK. With a total pool of 684 respondents, interestingly, findings showed that 56% of respondents in Wales said they took IPEDs purely for their image. The authors of the survey felt that there is now a stigma attached to sport and these drugs, which is being pinned as the reason why some parents are afraid to allow their children to enter the sporting profession. Whether you watch it or not, sport is a glue that brings people together, and many athletes learn a vast amount of transferable life skills such as working with others, staying calm when faced with a problem, analysing their next best move and not to mention juggling priorities between their own sport as well as their academic and social lives. Given the new legislation in Canada, Cannabis was, surprisingly, only lightly touched upon at the #CSF2018. The panel of Eric Kendall and Amanda Hudson were seeing how the situation pans out in Canada. Their argument was that there is balance in everything done – and when legal highs became illegal, cocaine and heroin use rose. Whilst no one knows whether the effect will be good or bad, one thing is for certain: an effect is coming. Closing remarks on the topic of drugs were simply this: success is seen in re-engaging with people in sport, educating, reducing Anti-Doping Rule Violations (ADRVs) and ultimately reducing deaths – therefore I think it’s safe for us to infer that legalisation of cannabis and any of its remedial uses for athletes are not at the top of the priorities list for those in the doping world – at least not for right now anyway. As ever, you can reach out to us on twitter, here or if you’d like to enquire about one of our doping control products, please get in touch with us, here.